The St. Louis Cardinals system went 3-4 on Wednesday. Player of the Day Wilfredo Tovar had three hits and two RBI in Memphis’ road win. Johnson City closed its 2018 with a victory, but the Gulf Coast League Cards bowed out of the post-season. Recaps of games played on Wednesday, August 29. Powered by the big fly, the Redbirds took an 8-4 win over the Express in Round Rock on Wednesday. Left fielder Wilfredo Tovar, our Player of the Day, along with center fielder Lane Thomas and shortstop Edmundo Sosa hit home runs in Memphis’s victory. Tovar went 3-for-4, and his two-run homer highlighted the Redbirds’ three-run eighth inning. Tovar, Thomas, and Sosa each batted in two runs, and right fielder Randy Arozarena scored three times. Redbirds starter Chris Ellis improved his record to 6-4 with five scoreless innings. John Brebbia allowed a run in the sixth, and Tyler Webb followed with clean seventh and eighth frames, during which he fanned four Express batters. Edward Mujica allowed three unearned runs in the ninth, but recorded the final three outs. Thursday’s game: Kevin Herget (9-10, 4.35) at Round Rock Express, 7:05 PM Central time. The Cardinals could not overcome a late Travelers rally and fell, 7-5, to visiting Arkansas on Wednesday evening. Springfield starter Evan Kruczynski worked 6 2/3 innings and was charged with four runs. He was followed out of the bullpen by Junior Fernandez, who was touched for three runs through the eighth inning. Hector Mendoza logged a scoreless ninth, but Springfield’s bats did not prevail. Kruczynski was charged with the loss, his second in four decisions for the Cardinals. At the plate, the Cardinals scored five runs on eight hits, highlighted by a three-run ninth that came up just a bit short. Cardinals first baseman Chris Chinea drove in two runs in and left fielder Victor Roache drove in another with his 11th double. Earlier, right fielder Johan Mieses launched a solo homer, his ninth of the season. Thursday’s game: Genesis Cabrera (7-9, 4.28) vs. Arkansas Travelers, 7:10 PM Central time. Due to rain, the Cardinals game at the Dunedin Blue Jays was postponed. It will be made up on Thursday as part of a doubleheader, with the first game set to begin at 4:00 PM Central time. In a game that was very quiet through the first six innings, the Cougars came up with three runs in the seventh and three in the ninth to defeat the Chiefs by a 6-0 score on Wednesday. Jake Dahlberg was the Chiefs’ starting pitcher and turned in a very solid outing. 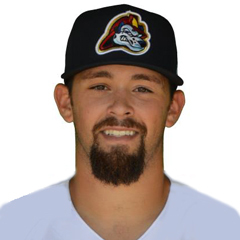 Dahlberg worked seven innings and allowed three runs – all in the seventh – with seven strikeouts and only five base hits allowed. Dahlberg was the tough-luck loser, nonetheless, and this dropped his record to 4-2. 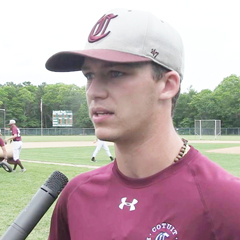 Robbie Gordon pitched a scoreless eighth before Thomas St. Clair surrendered a three-run homer in the ninth. On the offensive side, Peoria was shut out on six hits, including two by first baseman Zach Kirtley. The Chiefs scuffled, punching out 13 times. Third baseman Nolan Gorman struck out three times, and Kirtley, catcher Dennis Ortega, and second baseman Nick Dunn each fanned twice. 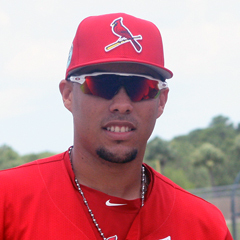 Thursday’s game: Johan Oviedo (10-9, 4.24) vs. Kane County Cougars, 6:30 PM Central time. Powered by four crooked-number innings, the Black Bears clawed their way to a 13-4 victory over the Spikes on Wednesday. The loss reduced State College’s elimination number down to one. State College starter Chris Holba was roughed up for seven earned runs in his two-plus innings of work. Holba faced four batters in the third before Hector Villalobos entered the game in relief and allowed two more runs before he pitched a scoreless fifth. Edgar Gonzalez followed with two scoreless frames, and Winston Nicacio limited the Black Bears to one run across the eighth and ninth innings. Gabe Gentner got the first two outs of the ninth and gave up three runs. Outfielder Walker Robbins entered and logged the final out for the Spikes. At the dish, the Spikes totaled 10 strikeouts and left three runners on base. The small total of stranded baserunners stems from two double plays and only seven hits. 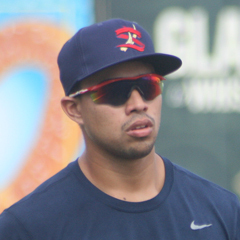 Spikes third baseman Stanley Espinal had a double and a home run, driving in all three of his club’s runs. Second baseman Edwin Figuera and right fielder Lars Nootbaar scored the other two runs, while Espinal had the team’s only extra-base hits. Thursday’s game: Diego Cordero (2-4, 4.50) vs. West Virginia Black Bears, 6:05 PM Central time. With offensive contributions from throughout the lineup and strong pitching, the Cardinals enjoyed a 6-4 victory over the Mets in the final game of their season. Johnson City first baseman Dariel Gomez hit two doubles, scored two runs, and drove in two. Left fielder Andrew Warner had a pair of hits and scored twice, and third baseman Liam Sabino and catcher Brandon Purcell drew two walks apiece. Sabino hit his third home run, a two-run shot, to highlight the Cardinals’ third inning. Cardinals starter Dionis Zamora allowed two runs over five innings. Zamora fanned five and limited the Mets to just four hits. Zamora was followed out of the bullpen by Juan Alvarez, the game’s winning pitcher. Alvarez improved to 3-2 after working two frames of one-run ball. Michael Brettell worked the eighth to earn his third hold, and Evan Sisk had a clean ninth to account for his fifth save. In the first game of Wednesday’s doubleheader, the Cardinals scored 11 runs on as many hits to defeat the Tigers West by an 11-5 final. The contest was a resumption of Tuesday’s game suspended by rain and the result tied the best-of-three GCL post-season series at one win apiece. The Cardinals went 6-for-9 with runners in scoring position, and eight of nine players in the starting lineup scored at least one run. Second baseman Josh Shaw had two doubles and four runs batted in, and left fielder William Jimenez and first baseman Carlos Soto each drove in two runs. Jimenez, right fielder Jhon Torres, and catcher Ivan Herrera scored two runs apiece. 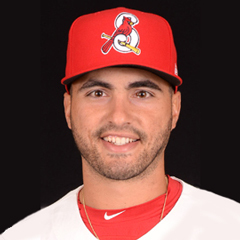 Cardinals starter Brian Pirela allowed three runs over his four-inning outing before the suspension. Freddy Pacheco picked up the win with a scoreless fifth inning, and Ty Cohen earned a hold as he completed the sixth, seventh, and eighth innings. Alex Gallegos tossed a scoreless ninth to finish out the win. The Tigers West scored early and often to defeat the Cardinals, 9-2, in the second game of Wednesday’s doubleheader. The defeat ended the GCL Cardinals season. 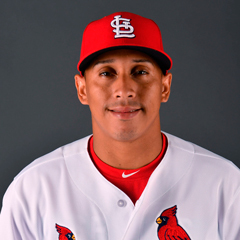 Cardinals starter Francisco Justo allowed six runs in his 2 1/3 innings of work, leading to a loss for him. The Tigers scored three runs in the top of the first inning, followed by five in the third. Justo was pulled in the third inning in favor of Chris Rivera, who surrendered the other two runs in the frame. Rivera went on to finish the third inning and pitch scoreless fourth and fifth frames before Griffin Roberts and Edgar Escobar combined for four innings with no earned runs. The bats were pretty quiet – on the Cardinals side. The Cardinals combined for five hits, two apiece from third baseman Zack Gahagan and right fielder Jhon Torres. Torres’ double accounted for the team’s only extra-base hit. Designated hitter Terry Fuller, though hitless, made the most of his plate appearances by drawing three walks.